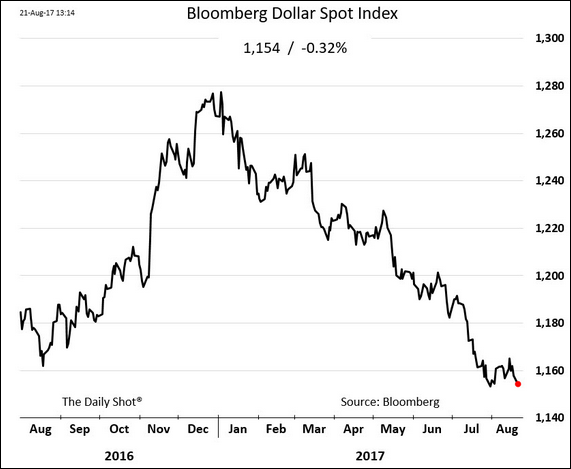 The United States: The dollar is drifting lower again, which should help with exports and may further ease financial conditions. 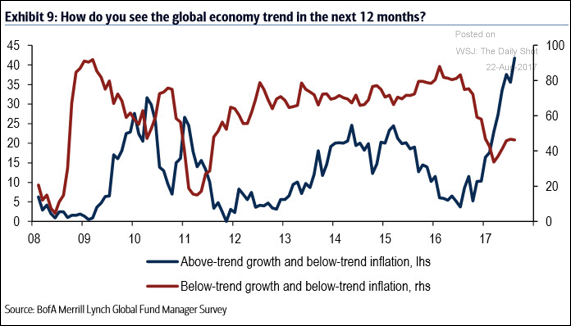 This trend is also one of the reasons some analysts suggest that we will see another rate increase in December (markets are pricing in one-in-three odds of a December hike). 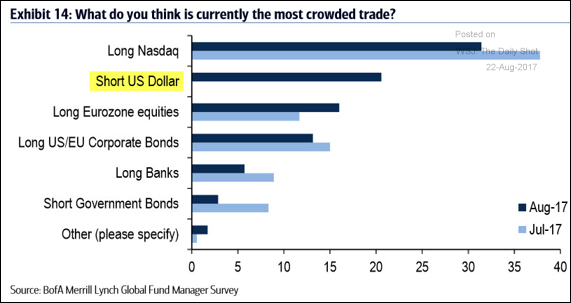 But has shorting the dollar become a crowded trade? 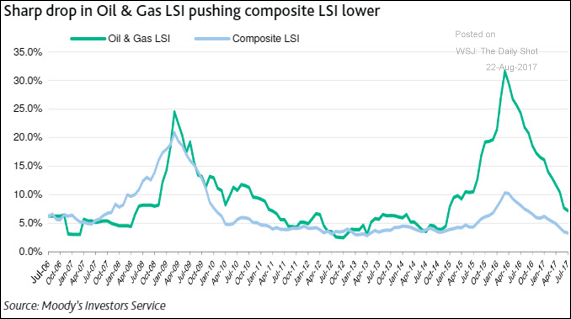 Credit: Moody’s Liquidity Stress Index is declining rapidly as the Oil & Gas sector stabilizes. 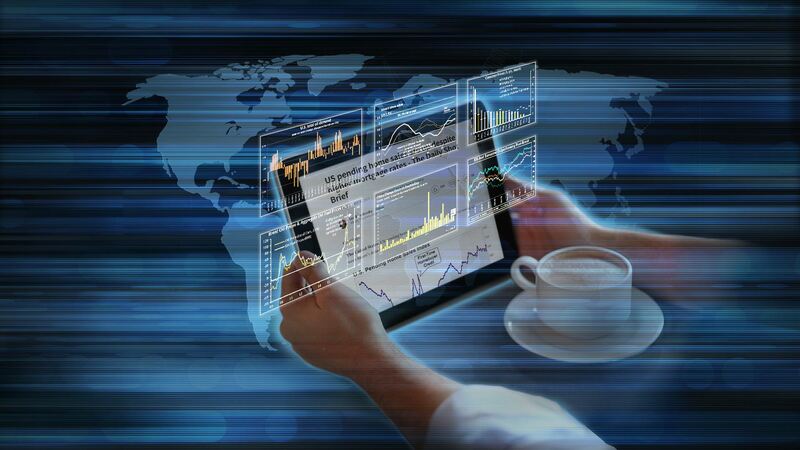 Equity Markets: Here are some highlights from the Merrill Lynch Fund Manager Survey. 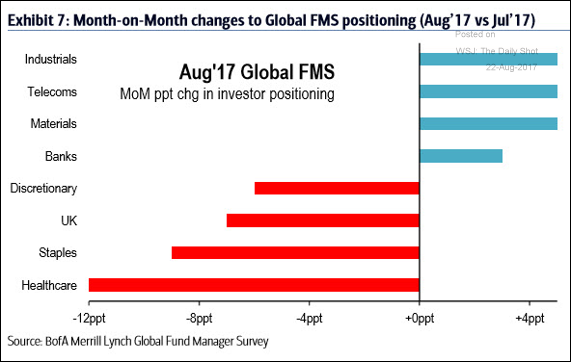 Managers trimmed their exposure to health-care stocks over the past month. 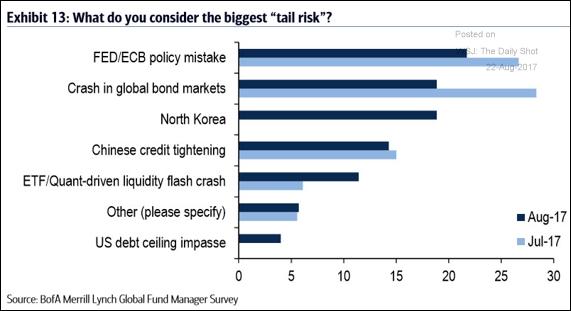 North Korea showed up as one of the biggest tail risks. 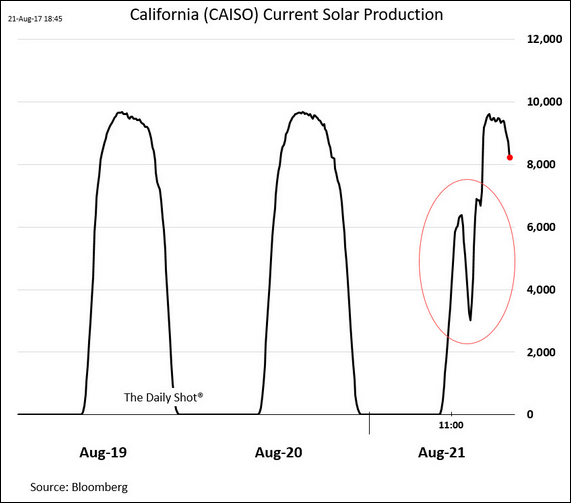 Energy Markets: Here is the impact of Monday’s solar eclipse on California’s solar power output. 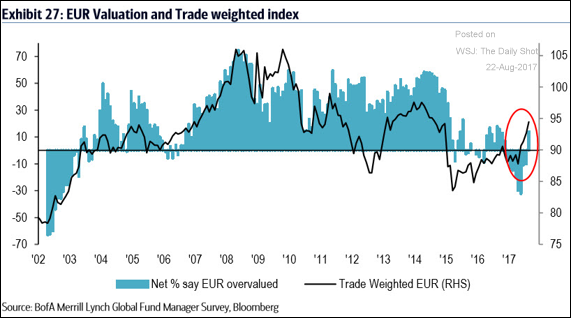 The Eurozone: More fund managers now view the euro as overvalued. 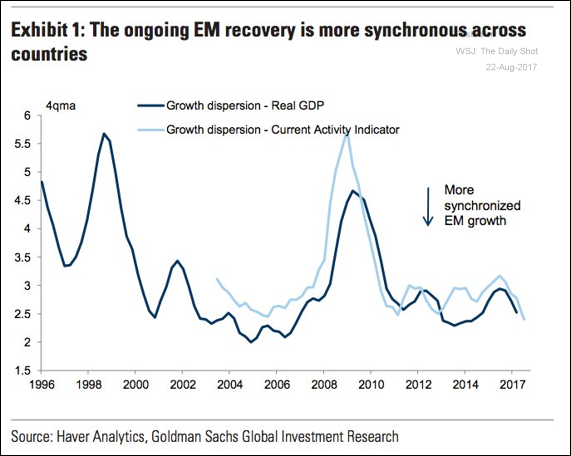 Emerging Markets: The recent EM recovery has been more synchronized (a lower growth dispersion). 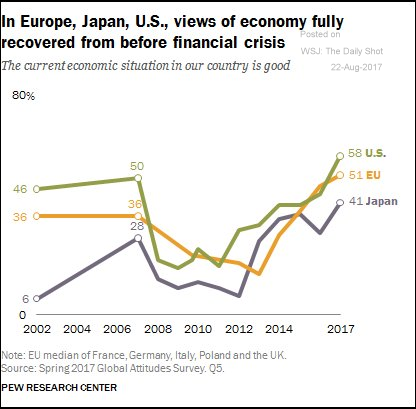 Global Developments: A number of indicators point to continuing economic strength around the world. 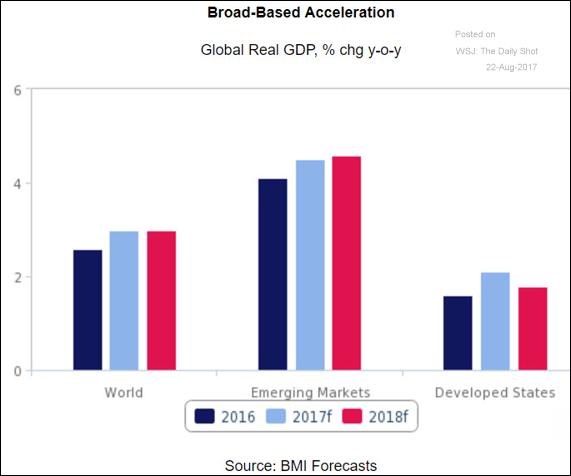 In order: BMI GDP Forecasts, Pew Research survey, Merrill Lynch Fund Manager Survey. 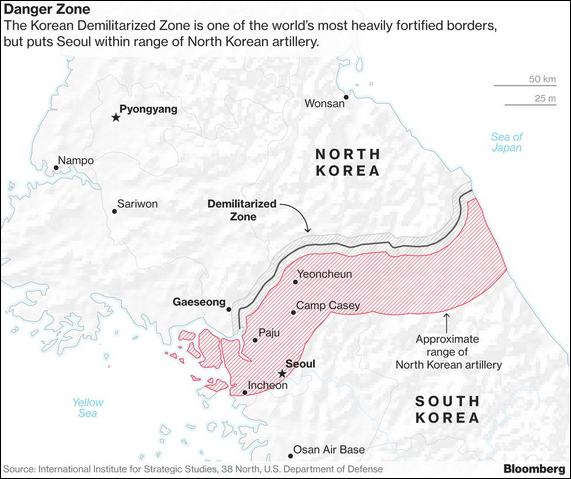 Food for Thought: The range of North Korea’s artillery.